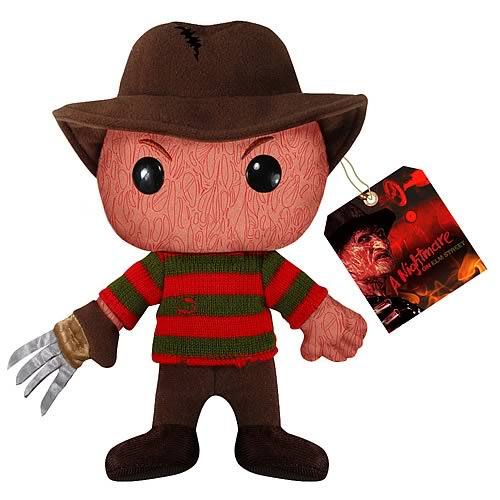 Shopping for Horror: Nightmare on Elm Street Plush? Cuddle up with this Freddy Krueger Plush… but don't fall asleep! Get close to your favorite horror icon from A Nightmare on Elm Street. Now you can cuddle up with Freddy Krueger… but whatever you do, don't fall asleep! This 7-inch Nightmare on Elm Street Freddy Krueger Plush is a cuddly, creepy way to get close to your favorite horror icon. So, order yours tonight!